Some thirty years ago Tim Berners-Lee invented the World Wide Web — and he did so, to a large extent, for society to share scientific knowledge much more freely and effectively, without artificial boundaries in between disciplines and geographies. However, we seem to be only marginally closer to that goal today than we were back in 1989. I have been deeply involved in the Open Data and Open Government movements since 2009. Through this neighboring activism, together with deep personal experience in a case of much needed access to specific medical knowledge, I have been a staunch supporter of the Open Science agenda for a good number of years now. (1) Are actions directed at improving access only for some members of society (and not all) compatible with Open Science practices? Can partial improvements ‘redeem’ themselves via wider accessibility goals over a longer timeframe? (2) Are all actions towards making research, data and dissemination more accessible congruent or necessarily compatible with each other? What if a research team publishes the research article, but not the data? Does that count as Open Science? (3) What about derivative works? Do those need to be equally accessible for an initiative to qualify as aligned with Open Science? When dealing with broad base, largely decentralized movements, like Open Science, there rarely is anyone at the other end offering a clear-cut response to this sort of questions. Here I try to offer some reflections in connection with Project Aiur. When we launched Iris.ai back in 2015, with the stated ambition of building the world’s first AI-driven science assistant, we saw ourselves diving quite nicely into the broad movement demanding more openness around scientific knowledge. Almost three years and four full product releases later, today we can proudly say that we have provided new open tools to power more effective contextual scientific discovery for any user of scientific research world-wide — and we, bien sur, publish our own scientific research Open Access. With Project Aiur, we now have the goal of creating an open, community-governed AI Engine for Knowledge Validation. In the brave new world we envision, any knowledge seeker should be able to input a scientific text, be it an existing research paper or a self-written problem statement, and query the system, Aiur, to get a number of related outputs, including a validation of the input’s hypotheses and building blocks against all of the world’s existing science. Bearing that in mind, we believe our project’s goals are fundamentally aligned with the Open Science agenda. But, going back to the questions above, there can be friction too. Can a new ecosystem be built, establishing an entire rethought set of economic incentives, with universal access granted to all knowledge for everyone at once? We believe blockchain technology has immense potential to drive true industry and status quo disruption. In contrast with other more gradual approaches limited to the incremental adoption of gold or green open access standards, blockchain developments, such as the ones we propose with Project Aiur, can redesign an entire ecosystem at remarkable speed, creating better aligned incentives for all system participants. But not everything can be achieved simultaneously. And herein lies the potential tension. Blockchain-based initiatives are dependent on the definition of new user communities for their success. And whilst these new communities might boast universal growth ambitions, community membership must, by definition, not encompass the population at launch. Does that equate to parting ways with the Open Science movement? We believe not. Also, importantly, can new initiatives only aspire to being subsidized through public funding mechanisms, including indirect taxation-based ones, or, on the contrary, should they experiment creating new economic and user payment models aimed at attaining system sustainability? We are of the latter opinion, and we fail to see a wedge between our initiative and the broad Open Science movement here either. 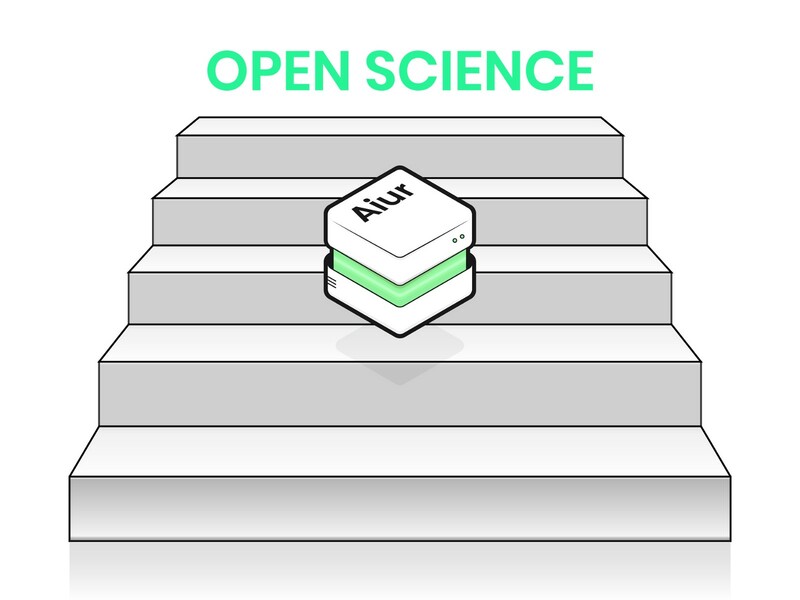 In our view, via its explicit theory of change, Project Aiur is fundamentally aligned with Open Science advocacy. And this alignment should result in natural alliances cemented with other ecosystem actors around a common vision and shared long-term goals. We aim to bypass what we see as naïve, maximalist restrictions curtailing our project’s ambition to help generate better, more ubiquitous science. With that said, we look forward to working together with the Open Science movement side-by-side to achieve a world where the research community generates better, more ubiquitous science. That is indeed the very reason why we exist! Entrepreneur. Founder at https://iris.ai/. Chairman at http://civio.org. Digital knowledge fanatic. Former investment banker. Singularity University alumnus.